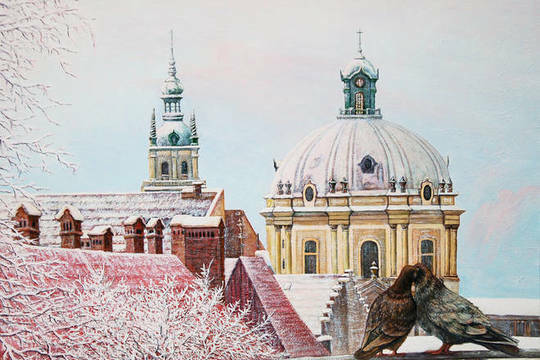 Art works contest “New Year postcard”. Contest participants: anyone willing registered user of the website of the International Association VATIKAM. Contest start date: November 25th 2014. Work submission end date: December 19th 2014. Voting end date: December 22nd 2014. Contest result announcement date: December 23rd 2014. Contest description: Very soon, the merry New Year holidays are coming. Let’s start bringing the holiday cheer to the website of our project right now, since holiday anticipation is no less joyful than the holiday itself! Create the best New Year postcard, and it will be decorating the website of the project VATIKAM for a whole month! - be sure to tick the box titled “Participating in the “New Year postcard” contest”. The contest takes one portfolio from each participant which can contain two to three works. It’s preferable that the works have horizontal (“landscape”) orientation. A winners is the participant whose portfolio gets the most votes during the whole voting period. Contest awards: The contest winner will be awarded a special diploma of the International Designers Association VATIKAM. One work out of the contest portfolio (selected by the project Administration) will be displayed as a banner in the top part of the main page of the VATIKAM portal for 1 month. Very soon, the merry New Year holidays are coming. Let’s start bringing the holiday cheer to the website of our project right now, since holiday anticipation is no less joyful than the holiday itself!